In this activity children will investigate the properties of materials to build a raft to cross the river or to carry their equipment. Children in Colombia in South America are facing a dangerous journey across a raging river to get to school and then back home again. The bridge collapsed 12 years ago so the kids have to wade or swim with their school stuff above their heads as the water rushes round them. There is a ferry across the River Teutan, but most pupils can't afford to pay for it. 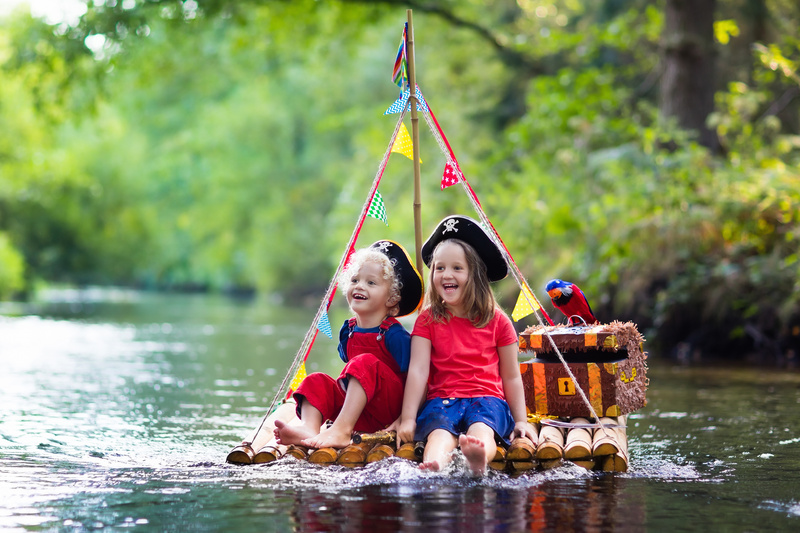 Children will investigate the properties of materials to build a raft to cross the river or to carry their equipment. They will measure how far different rafts will travel and look at different ways of moving them. - To decide which materials float and sink and would make a good raft.